Specializing in Volvo, Subaru, and more! We specialize in maintenance and repair for Subaru and Volvo vehicles (though we are trained to work on any make/model). Get a fair price and keep your vehicle in top shape by bringing it to J & J Automotive! We know you're busy which is why we've made it easy to get your vehicle in for scheduled maintenance and repairs. Click here to schedule an appointment today! For Volvo, Subaru, and more! 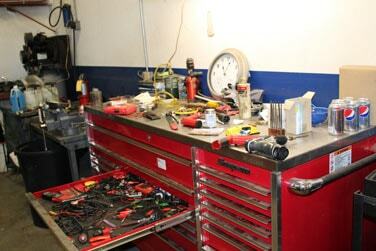 J & J Automotive has over 12 years of experience in auto repair and scheduled maintenance. While we specialize in Volvo and Subaru, we have plenty of experience working with other makes and models such as Honda, Buick, Toyota, and more. We can provide manufacturer suggested vehicle maintenance and repairs at a fair price! No need to pay that expensive dealership fee, J & J has you covered! Our shop is located in the Cohasset Industrial Park approximately one mile north of Eaton Road.Click here for a map and directions to our shop! Customers Love J & J Automotive! "Did great job on my 2012 Camaro SS brakes, oil change, and cabin filter. Was more than half off dealer price."